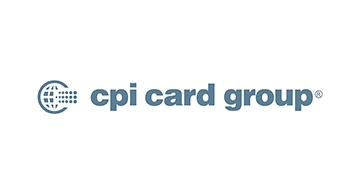 CPI Card Group is a leading provider in payment card production and related services, offering a single source for credit, debit and prepaid debit cards including EMV chip and dual interface, personalization, instant issuance, fulfillment and digital payment services. With more than 20 years of experience in the payments market and as a trusted partner to financial institutions, CPI’s solid reputation of product consistency, quality and outstanding customer service supports our position as a leader in the market. Serving our customers from locations throughout the United States and Canada, we have the largest network of high security facilities in North America, each of which is certified by one or more of the payment brands: Visa, Mastercard®, American Express, Discover and Interac in Canada. Learn more at www.cpicardgroup.com.